Experts Discuss: What is the Best Diet Plan? With diet-plan advertisements littering the TV and radio airwaves as well as magazines and the Internet, it seems like everybody is trying to get you to buy their diet products. And with options ranging from prepackaged meal services to coaching services to books and even mobile apps, it can be hard to choose which one will work for you and your lifestyle—not to mention your budget. Not only that, how do you know whether the diet plan you choose will work? Will you be able to keep the weight off once you lose it and stop the diet? Will you lose any weight at all? These questions can be hard to answer without the right information. "Nutrition is a confusing subject for many," says Rene Ficek, a registered dietician and lead nutrition expert at Seattle Sutton's Healthy Eating, a pre made fresh-meal delivery service that adheres to accepted medical diet guidelines. "There is often conflicting advice in the media, as most sources try to simplify or summarize some very complicated nutrition science findings." If all of this sounds intimidating, don't worry—we consulted some diet and nutritional experts to help you make an informed decision. 1. Understand what is (and isn't) healthy. The first step in deciding what diet and weight-loss plan will work for you is knowing what never works for anyone, experts say. Diet plans that eliminate entire food groups—like "no carbs/grains," "no protein," and so on—are unsustainable and potentially dangerous because they can cause nutrient imbalances. "All foods can fit into a healthy diet," Ficek stresses. "Telling yourself that you cannot have a certain food, or even worse, a certain food group, will inevitably end up in binge eating and regret." On the flip side, any diet that has you eating large amounts of a single food—like the "grapefruit diet" or the "banana diet”—is also a no-no, says Nadia Taylor, MD, a Suwanee, GA-based wellness physician who specializes in treating families holistically. According to Taylor, these kinds of diets are little better than starving yourself—which doesn't work, either. "Starving yourself is very unhealthy," Taylor stresses. "You may lose weight, but as soon as you stop the diet and regain your old eating habits, you will gain the weight back. Diet plans that rely heavily on products like meal-replacement shakes, freeze-dried foods, nutrition bars, and other highly processed foods should also be approached with caution, Ficek notes. "These meals are very seldom healthy or satisfying," she says, which makes these types of plans hard to stick with over the long term. "Fresh fruits and vegetables should be part of every meal, and they should be foods you like." Some signs that a diet is not good for you include feeling hungry all the time, feeling irritable and grumpy throughout the day, and not enjoying what you're eating, Ficek adds. "Weight loss is hard, but it shouldn't be torturous," she stresses. Another factor in choosing a diet plan is cost—in terms of both money and time. A busy working mother with cash to spare might be more apt to choose a prepared meal-delivery service like NutriSystem, or a weight-loss club like Weight Watchers or Jenny Craig, while a stay-at-home mom with limited money but plenty of time to cook and plan meals might do just fine with a diet book from the library and some workout DVDs. Exercise can be a cost, too—and most diet plans do require regular exercise in order to work. According to Ficek, some questions to ask yourself include: "What are you currently spending on meals vs. what the program costs? What is the cost of a gym membership? Considering if these costs are something your checkbook can maintain for a long time will help prevent premature cessation of a healthy habit." 3. Consider your lifestyle and personality. Not every diet and exercise plan is the right fit for every person—so what worked for your mom or your best friend might not work for you. "Different approaches work for different people," says Penny Levin, PhD, a licensed psychologist and personal trainer who specializes in lifestyle management and rehabilitation psychology. "Some people need the accountability of follow-up with a doctor or group such as Weight Watchers [to stick with a diet]," she explains. "Meanwhile, some cannot manage the ongoing work and decision making of a flexible diet plan, and need the structure of having all of their food decisions made in advance for them," which can make the latter folks better candidates for a meal-planning and delivery service. "Paying for a service usually means that you will use that service," Taylor points out. Other factors can come into play, like whether you spend long hours away from home or have to travel for work. "You need to look at the fit between your lifestyle and the nature of the diet," Levin goes on. "For example, prepackaged meals make sense for people who have little time but not for people who eat out a lot." 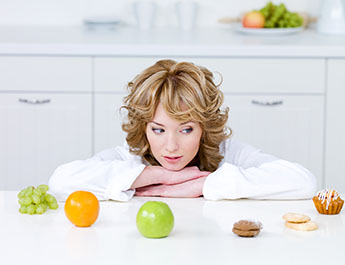 Sometimes, trying to understand why your past diets have failed is a good way to choose one that works, Ficek notes. "What worked or didn't work for you? Were you able to follow the diet? [Do] you despise going to the gym, or do you hate to cook? It's far easier to go with a diet plan that fits your lifestyle and personality rather than trying to change your lifestyle and personality to fit a diet." 4. Talk to a professional. It's always a good idea to consult with a physician or registered dietician before embarking on any diet plan, experts say. 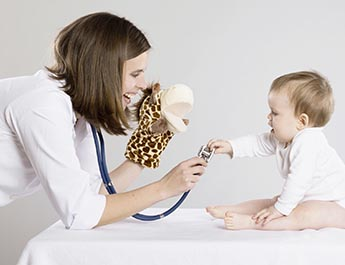 Your primary care physician can assess your body weight and overall health and advise you of any potential health risks that might result from not managing your weight properly, and can often also give you some diet, exercise, and nutrition suggestions, says Taylor, who frequently advises her patients to cook at home whenever possible. "The [meal] preparation process, though hard, is actually training your taste buds," so that you'll crave healthier foods in the long run, Taylor argues. Ficek recommends setting up a few appointments with a registered dietician. "[A dietician] can review any medical problems that you have and any medications that you take, and help you set weight-loss goals," she says. "These experts can help you determine fact vs. fiction when it comes to diet guidelines, fad diets, and exercise programs." Levin encourages dieters to work with a certified personal exercise trainer to help stay motivated, while also looking for ways to change your eating behavior—like writing down everything you eat in a food diary, also known as charting. "This forces you to think before you eat, and cuts down on impulse eating," she explains. Levin also cautions that rigorous exercise alone isn't enough to lose weight, and vice versa. "You cannot train your way out of a bad diet, but you also cannot diet your way out of inactivity." A personal trainer can help you strike a balance between the two, she says. Whatever plan you choose, successful weight loss is a long-term process that requires discipline and commitment, Ficek stresses: "Look for a plan that promises flexibility, balance, and activity. These approaches will eventually get you to your long-term goal."